Hakon spreads wide his sword's domain. 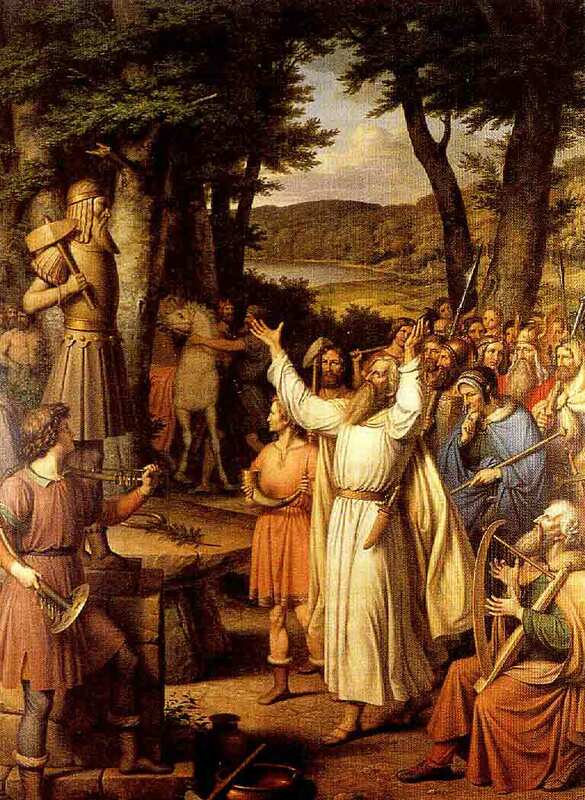 Vellekla was created by the Icelandic skald Einar Skålaglam, in honor of Hakon Earl of Lade. The Icelandic author Finnur Jónsson dates it to the year 986, after the battle of Hjørungavåg. This is only a small portion of the original, which has 37 stanzas. Vellekla is kind of special since it has two endings. The first ending happens in stanza 33 (the skald is thanking the earl for his payment for the kvad). This gives reason to believe that it was created after Hakon Earl of Lade had defended Denmark against the Saxon Emperor in 976, and that the skald later added 4 stanzas. Snorre Sturlasson renders parts of Vellekla in Heimskringla - The Chronicles of the Kings of Norway. You'll find it in the "Saga of King Harald Grafeld and of Earl Hakon Son of Sigurd". Here: http://sunsite.berkeley.edu/OMACL/Heimskringla/grafeld.html , but he is missing stanzas 13, 18, 19, 20, 21, 33, 34, 35, and 36.